In the Integral Cancer Treatment Institute at Hospital Clínica Benidorm we focus our efforts on the patient. Each case is studied in a personalized manner. The diagnoses and treatments are analysed by a multi-disciplinary group in order to offer prompt and excellent service. The ITIC is organized around medical groups from various specialties. In this way, specialists with various clinical backgrounds are part of the treatment teams in order to provide a global and precise analysis of each case. The ITIC offers its patients an integrated service which is both medical and psychological. It encourages participation by patients’ associations and starts out on the principle that the patient should be listened to and have their points of view taken into account. At the ITIC we strive to offer close, first-hand care and build up trust between the patient, the doctor and the nursing staff. In treating cancer, time is of the essence in the way the illness develops; an accurate diagnosis and quick action can save many lives. Therefore, we have concentrated in one single centre a broadly-based team of our own professionals and collaborating experts together with medical, health, pharmacological and technological resources aimed at offering integral solutions to patients with cancer. It has a full staff of specialist highly-qualified doctors, technicians and specialized health staff. Each have their own on-going training departments. It has a fluid relationship with specialized academic medical institutions. It collaborates with some of the most advanced Cancer Research Centres in the world. Medical Oncology is a specialty which deals with the medical treatment of cancer at all its stages. Advances in therapies have always been achieved on the basis of clinical investigation, which is one of the foundations of the medical treatment of cancer. For this reason, the Medical Oncology Service takes part in clinical trials with new molecules (we take part in national and international studies on cancers of the lung, stomach, colon, bladder, prostate, etc.). Hospital Clínica Benidorm is part of the European network ESMO Designated Centre of Integrated Oncology and Palliative Care. The Day Hospital has 10 boxes with armchairs and double infusers for administering out-patient antineoplastic chemotherapy and immunotherapy. Clinical hospitalization. Has 19 rooms for handling acute situations, complications, complex treatments or on-going care. The hospital continues treatment at home by way of the Home Hospitalisation Unit of La Marina Baixa. Each surgeon who operates on a patient in the ITIC is part of a multi-disciplinary team and can precisely orientate the operation. All the ITIC surgeons have undergone strict training which allows them to dominate the most effective techniques for each case. 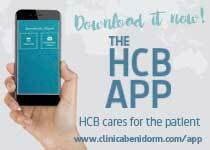 The Pathological Anatomy Service is integrated into Hospital Clínica Benidorm. 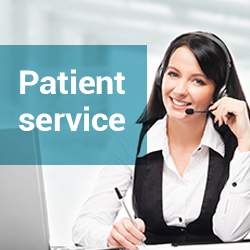 This Service has no direct relationship with the patients. It is a support service for the other Medical or Surgical Specialties. Surgeons, digestive experts, oncologists, etc. send their biopsy and cytology samples here for study. Currently, given the progress of medicine, it is often required that the evaluation of the patient should be integral and that it should be carried out within a multi-disciplinary team, in which each of the professionals has his or her specific importance. This attitude is particularly true in the case of oncological patients. This department has the most modern instruments existing in Nuclear Medicine. Using this equipment, we can carry out advances diagnoses, complete extension studies, monitor response to treatment, carry out sentinel node studies, study bone lesions, pulmonary thrombosis, etc.). The Nuclear Medicine department programmes treatments using radiopharmaceuticals and radioimmunoconjugates, treatments which are currently one of the greatest advances in the treatments of certain types of tumours such as lymphomas. They furthermore make it possible to carry out another action of great relevance for the patient: the planning of radiotherapy treatments or surgery on complex anatomical areas. Our centre and use metabolic images to design radiotherapy treatments and achieve levels of precision which are unimaginable with the normal approach. The Radiotherapy Department at Hospital Clínica Benidorm provides the ITIC with high standards of radiotherapy oncology treatments. 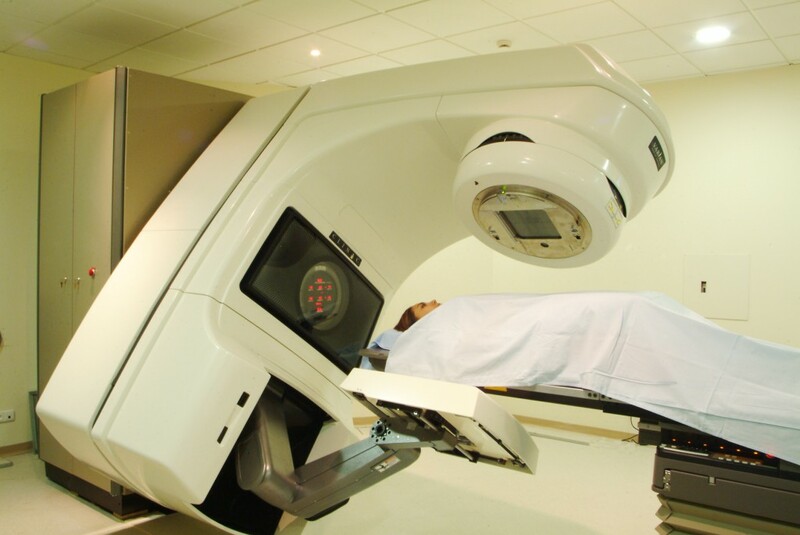 Radiotherapy is the treatment of cancer, or other processes, with the use of ionizing radiation. This is capable of causing “ionization”, molecular changes which affect cell structure. In the case of tumour cells, these changes can cause them to die and the tumour therefore disappears. There are many forms of radiation available. Depending on the nature of the rays it can be photonic, when electromagnetic radiation is used or particulate when particles are used, such as electron, neutrons, protons, etc. 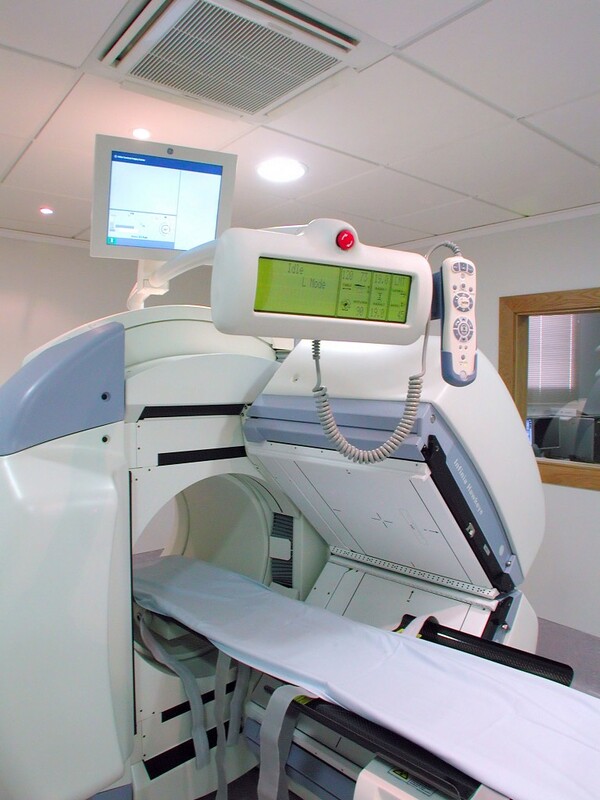 Also, depending on the position of the radiation source in relation to the tissue to be irradiated, it can be Teletherapy, when it is far away (one metre), outside the body or Brachytherapy when the source is placed inside body cavities or tissues either temporarily or permanently in certain cases, such as the definitive treatments for some types of prostate cancer. “Highly complex radiotherapy” techniques. The technological support of the Radiotherapy Department at ITIC makes it possible to carry out all manner of conventional radiotherapy treatments, including Total Body Irradiation or Total Skin Irradiation with electrons. Varian 2100 CD Lineal Accelerator, capable of producing beams of photons at two energy levels, 6 and 15 MV and electrons at 6, 9,12, 15, 18 and 20 MeV. It has a multi-leaf collimator to for fields of up to a maximum of 40×40 cm. BrainLab System, for radiosurgery and stereotactic radiotherapy, with a micro multi-leaf collimator to form fields of up to 10×10 cm. Brachytherapy system for high dosage rates with Ir-192, Nucletron Microselectron. Brachytherapy system for permanent prosthetic implants, with real-time dosimetry, automated release of I-125 seeds. First-Spot-pr system, Nucletron SeedSelectron. High-level planners linked to CAT, MR and PET-CAT, capable of carrying out actions ranging from virtual simulation to multi-conformal, stereotactic three-dimensional treatments, and intensity-modulated radiation by inverse calculation. All of these systems make it possible to design, develop and administer radiotherapy treatments representing real ‘state-of-the-art’ radiotherapy, all within a framework of technical quality and the safety of our patients. 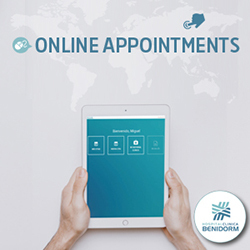 The Psycho-oncology department offers virtual treatments to improve pain control and we work together with patients’ associations and the Spanish Cancer Association (AECC). They work on acceptance of the changes in our bodies and on re-incorporating patients back into society in a normal manner. In this department we offer a form of collaboration which is extremely important in treating the long-term side-effects of the illness. At the ITIC we study and treat cancer from a comprehensive and humane perspective. We believe that the fight against cancer should be supported by each patient’s self-esteem and will to live.